Are you feeling tired? Like really tired due to the numerous things you do each day? From attending long meetings, sitting in traffic, doing laundry and preparing meals. Well, my friend its time that you headed out on a wellness retreat! The world of wellness is having a moment right now, and it’s time for people to focus on self-care. Whether you are looking to get in touch with your spiritual side, work it out or meditate for a week, your perfect getaway awaits you. One that will teach you day to day tricks on how to live a healthy life. Treat yourself in spa treatments while indulging in nourishing meals. The problem is finding out precisely which wellness retreat is worth your money. Therefore, the key to planning your health retreat is striking a balance between your wellness needs, your budget and how many days you will attend. Check out these world-leading retreats to escape daily life stress and experience pure relaxation in a perfect setting. Como Shambala estate is located in Bali, the spiritual capital of Ubud. It is a multi-award winning health spa retreat that uses plant-based extracts for all their natural spas. Encircling the place is the lush tropical forest and clear rivers creating a serene atmosphere for you to enjoy natural rejuvenation. They also offer private and group well fitness sessions that help to improve your strength, metabolic rate, and flexibility. You will be introduced to a nutrition plan that will ensure your meals improve digestion hormonal balance and energy. It’s a magical setting, exceptional care and great foods make it the place to be for your holistic health. Located in Himalayas, India, Ananda offers their clients with a deeper understanding of detox, stress management, and yoga. The classes at Ananda are very authentic, and maybe it is because the Himalayas is considered the birthplace of yoga. The retreat is located in an area with mountain ranges and pristine nature making it a spiritual escape place. Unwind at this holistic place as you enter into the healing world evaluating your health conditions. The professional consultants advise your entire stay and teach you how to use yoga and meditation to increase mental and physical well being. This holistic healing will gently guide you towards a rejuvenating life. Found in Utah, Red Mountain Resort is one of the leading weight loss retreat on everyone’s list making expectations high and the resort lives up to it. Their sessions include personal training, nutritional and metabolic profile assessment and life coaching. Once you visit the resort, be ready for group workshops, lectures, daily guided hikes in the red rock hills, unlimited fitness classes and cooking classes. They train people on making flavorful, healthy and nutritious meals to help reset the metabolism and appetite. If you are a passionate, ‘clean eater’ you will love every minute in Red Mountain Resort. This is the perfect destination for yoga lovers. Sky Ting Maderas Resort is located in Maderas village, on the Pacific coast of Nicaragua. The area is remote, and that’s why it is the perfect setting to help you restore your body and mind. There are two beautiful yoga studios for your daily yoga classes, which are led by the Jenn Tardif and Kate Posch. After yoga, you have plenty of other activities to do like surfing, reading, reflecting or just chilling. You will also enjoy healthy organic meals, smoothies, and fresh juices, which are served all day. This wellness resort is the best place to reset and dive deeper into your life. One of the essential contributors to your health is sleep. At Six Sense, they introduce one to ways of stretching and meditating your way to better night sleep. To find true and natural serenity, they use the ancient practice of yoga. For example, to regulate your breathing and send you into a relaxation state they combine gentle stretching yoga poses, yoga Nidra and pranayama. Visit them and enjoy calming spa treatments and group classes that enhance your wellness to make your sleep sweeter and your night longer. This relaxation retreat will help improve the quality of your sleep. What happens when you are banned from eating meat, sweets and drinking booze for a week? I know that could be very hard for some people. However, at Phuket Cleanse, you spend a whole week at a booze-free, vegan boot camp. 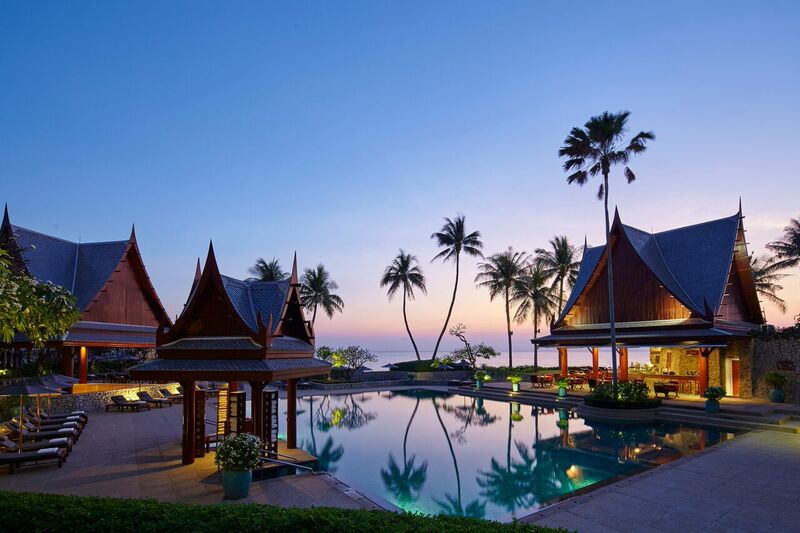 This fitness retreat is located in Thailand and is among the best relaxing resorts in the world. They carefully craft a personalized program for each client to ensure that you achieve your goals. Whether you want to lose weight, fire up your fitness or detox, instructors at Phuket Cleanse will support you by giving you the knowledge to an improved lifestyle. Discover your strength, inner healing, and nourishment at The Retreat Costa Rica. This health resort will help you disconnect, relax and transform you. At The Retreat, you will learn gastronomic concepts and wellness programs in a peaceful environment. You will also enjoy watching the stunning views of the Pacific Ocean and the Nicoya Peninsula. If you have always wanted to sample different organic garden-fresh cuisines, swimming, being pampered at the Spa or being decompressed in the spa room, then The Retreat Costa Rica is the place to be! Most people today are now seeking time off work to recharge their mind, body, and soul. They want actually to learn how to eat and live healthily. Reset your health and fitness goals with an experience where you get both inner and outer healing. Take your health to the next level at these great health and wellness resorts. My name is Patricia Wambui a freelance content writer based out of Kenya. I specialize in blog posts, guest posts, resources, newsletters, developing content/blogging strategy, landing page content and any of your other content marketing needs. With over 1 year of experience in health, fitness, technical writing, and creative blogging; I have the creativity and professional experience that can help your company succeed in driving sales and increasing customer engagement through excellent written content. My aim is to provide high-quality content and if this is what you want, get in touch with me.